The CSHOR Steering Committee comprises an independent Chair and 2 representatives each from QNLM and CSIRO. The Steering Committee is responsible for determining research priorities and approving annual research programs and budgets. The CSHOR Director reports to the Steering Committee. The second face-to-face meeting of the Steering Committee is scheduled for 3 and 4 May 2018 in Hobart. CSHOR Steering Committee Chair is Dr Susan K. Avery. 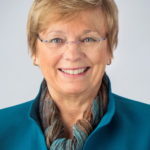 Dr Avery is President Emerita of the Woods Hole Oceanographic Institution, having served as President and Director from 2008‐2015. During that period, Dr Avery led the development of an intermediate strategy for the institution to attain fiscal stability based on an external and internal landscape analysis. Implementation included structural changes in operations (fiscal and administrative), selective investments in new areas, including the Center for Marine Robotics; a new building for ocean observatories; an ocean informatics program, and strategic hiring in climate and coastal research. She currently is a Senior Fellow at the Consortium for Ocean Leadership and a Faculty Associate at the Center for Science and Technology Policy Research at the University of Colorado. Dr Avery’s current international service includes: Advisory committee for NSF Office of International Science and Engineering; International Jury for Global Challenges Foundation; International Advisory Board for Japan Agency for Marine-Earth Science and Technology (JAMSTEC); International Advisory Committee for Qingdao Ocean Science and Technology National Laboratory; ExxonMobil Board Member. Prof Kehou Pan is Secretary General of Academic Committee and Member of Executive Committee, Qingdao National Laboratory for Marine Science and Technology (QNLM), China and Professor of the Department of Aquaculture, Ocean University of China (OUC). Meanwhile he is the Council Member of Chinese Society for Oceanography and Limnology, Deputy Council Chair for its affiliated Society for Microbial Oceanography, Council Member of the affiliated Society for Shellfish, Council Member of the affiliated Society for Phycology, and Executive Council Member of China Phycology Industry Alliance. Professor Pan focuses on research in “Phycological Biology and Bio-engineering” and “Marine Ecology”. 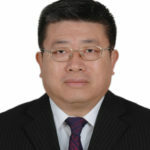 He has led 6 national projects supported by National Natural Science Foundation of China, National Key Basic Research Program of China (973 Program), and National Key Technology Research and Development Program of the Ministry of Science and Technology of China, and China National Key R&D Program during the 13th Five-year Plan Period, etc. Professor Pan has attained 9 national invention patents and published more than 60 papers, among which over 30 were in SCI journals and some in top journals in phycology including “Journal of Phycology” and “Journal of Applied Phycology”. 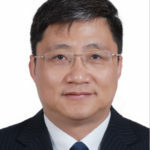 Prof Gongke Tan is Director for Department of International Affairs, Qingdao National Laboratory for Marine Science and Technology (QNLM), China and Director of Centre for International Cooperation, First Institute of Oceanography, State Oceanic Administration, China (FIO). Prior to his current positions, Professor Tan held positions of Director of the Division of General Affairs, FIO (2012-2014), Director of International Cooperation Office, FIO (2006-2010), Director of China-Korea Joint Ocean Research Centre (CKJORC)) (2003-2006), Vice Director of CKJORC (2001-2003), Vice Director of Division of Sci. &Tech, FIO and Head of Division of General Affairs, CKJORC (1995-2000), Associate Researcher, FIO (1995) and Assistant Professor at Department of Physical Oceanography, FIO (1991-1995). Professor Tan attained his B.A. degree in Engineering Physics at Tsinghua University in 1988 and M. S. in Physical Oceanography at The FIO in 1991. Dr Andreas Schiller is Science and Deputy Director of CSIRO Oceans and Atmosphere. 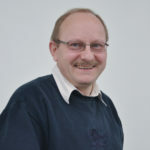 Dr Schiller pioneered with colleagues at the Bureau of Meteorology the development and implementation of the first coupled ocean-atmosphere model for seasonal climate prediction in Australia (POAMA) which went operational at BoM in 2003. He headed CSIRO’s involvement in the initial phase of the BLUElink project, which delivered the first operational ocean forecasting system in the Southern Hemisphere. From 2009 until May 2017 Dr Schiller co-chaired the international GODAE OceanView Science Team. Until January 2017, Dr Schiller chaired the Global Ocean Observing System Regional Alliance in the Indian Ocean (IOGOOS). Dr Schiller has published more than 80 research papers, reports, book chapters and invited conference papers on topics such as: the impact of ocean tides on large-scale ocean circulation and water-mass properties in the area of the Indonesian Throughflow; the design of an ocean-observing system for the Indian Ocean; accurate simulation and interpretation of intraseasonal oscillations (ISOs) in the ocean (relevant to El Niño phenomenon and monsoon rains over India); and the stability of the North Atlantic thermohaline circulation on climate change time scales. Dr Helen Cleugh is the Director of the CSIRO Climate Science Centre. Dr Cleugh is an atmospheric scientist with almost 30 years’ experience combining research discovery, delivery and leadership. Her research expertise lies in quantifying the interactions between the land surface and the atmosphere, and their effects on weather, climate and hydrology; and water-use and carbon uptake. 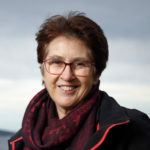 She has been leader of the Australian component of FluxNet (OzFlux) within the Terrestrial Ecosystem Research Network. Dr Cleugh previously led the establishment of the National Environmental Science Programme’s Earth Systems and Climate Change Hub, a large national climate research consortium between CSIRO, Bureau of Meteorology and key university partners. From 2007, she led much of the climate and atmospheric research within CSIRO, collaborating with other research providers and funders to deliver the research needed for Australia to manage the challenges and opportunities of a changing and variable climate (Image source: Peter Mathew).